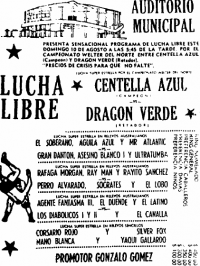 Dorada was Jose Lusi Aguilera, from Guadalajara, 14 years a wrestler. 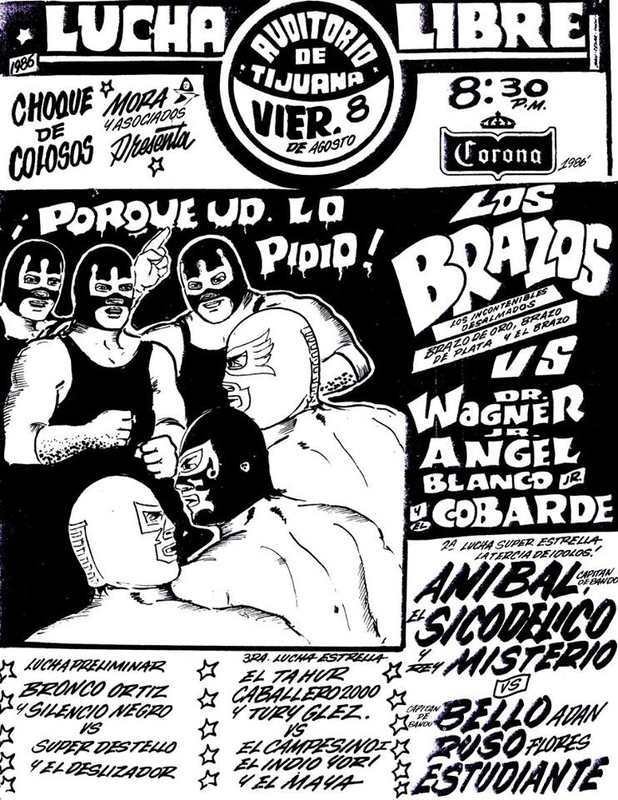 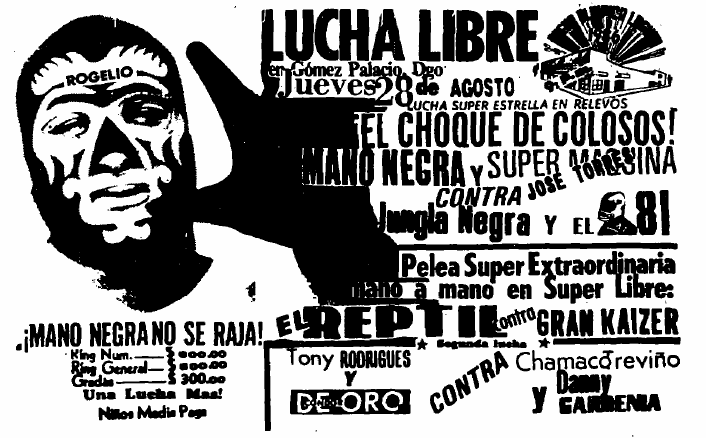 Dorada would've lost this mask at three other occasions earlier in 1985, but situations (including the earthquake) caused the matches not to happen. 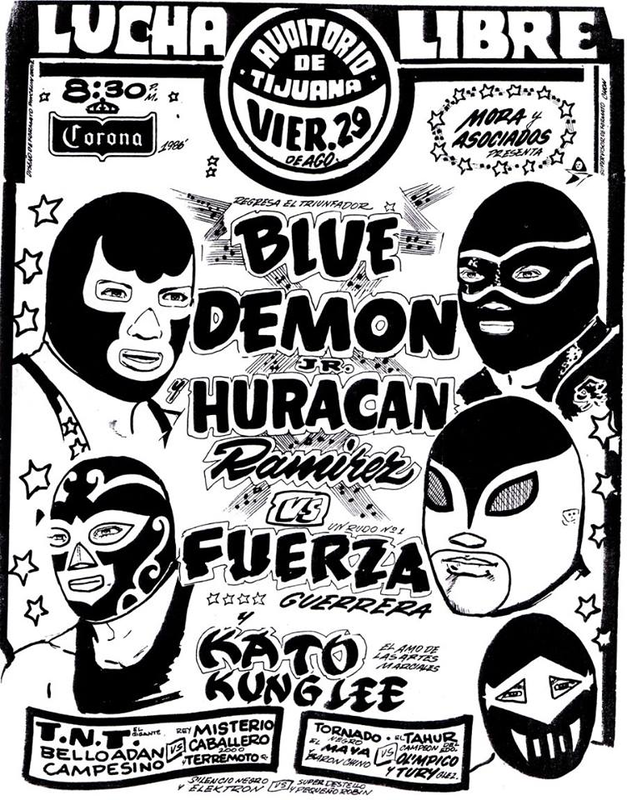 Event Notes: El Santo vs Kato Kung Lee was scheduled to take place - but the ring didn't arrive. 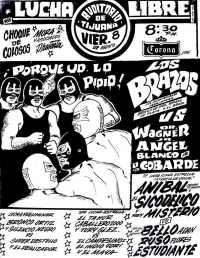 The promotion realized it had no ring late and scrambled to get a replacement one, but the commission only gave them 30 minutes from scheduled show time to start or they'd have to refund everyone. 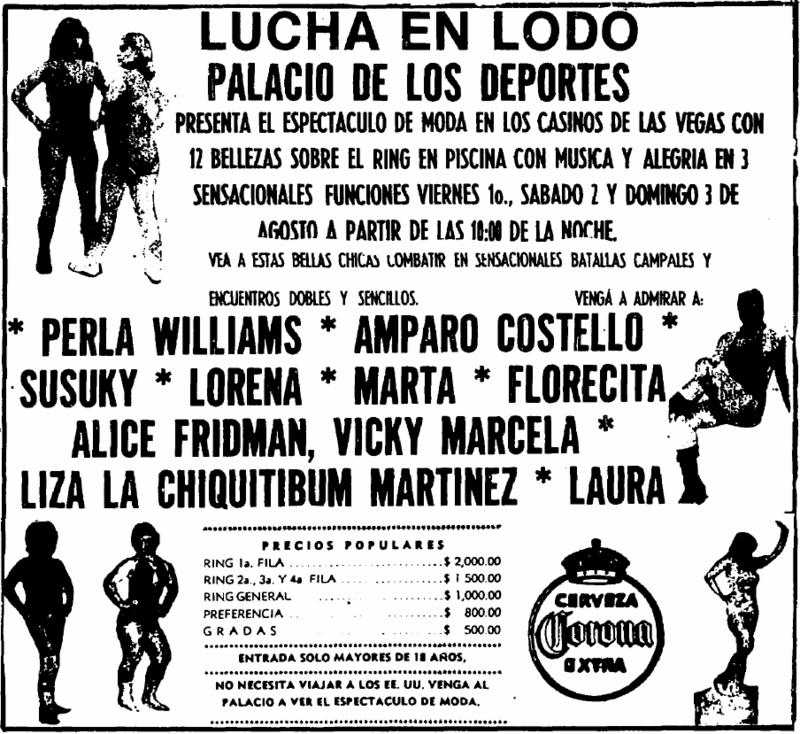 A replacement ring arrived, but too late, and Promociones Mora took a huge loss. 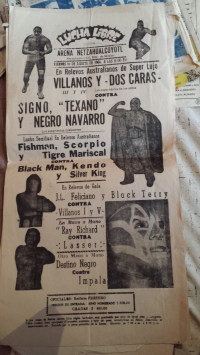 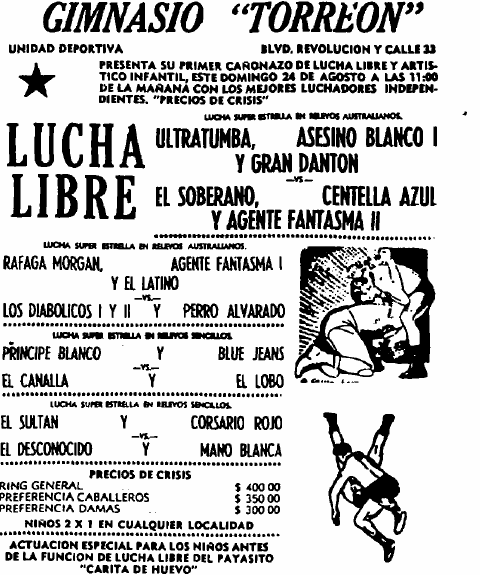 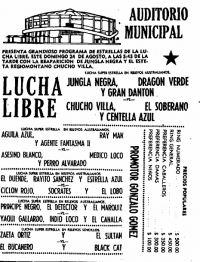 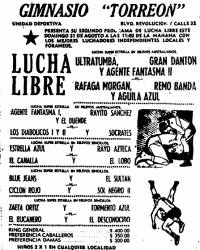 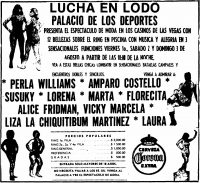 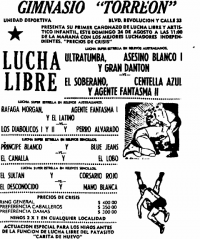 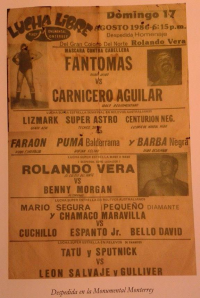 Magazines later claimed the people responisble from bringing the ring were paid off not to show by a rival promoter (though not EMLL); Mora denied the story but promoted mostly in Tijuana going forward. 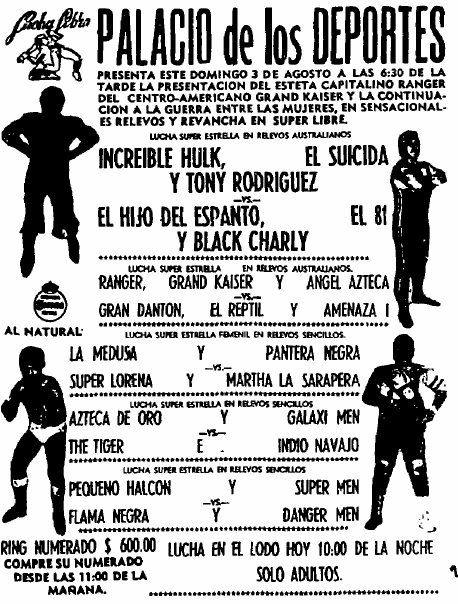 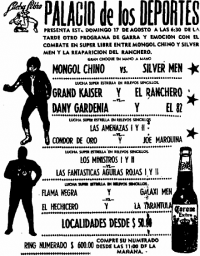 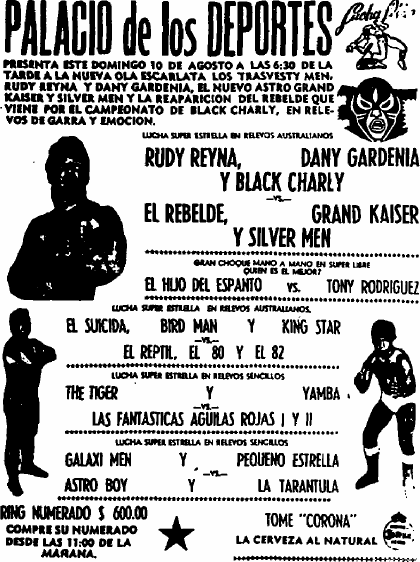 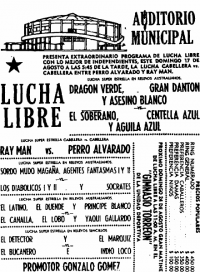 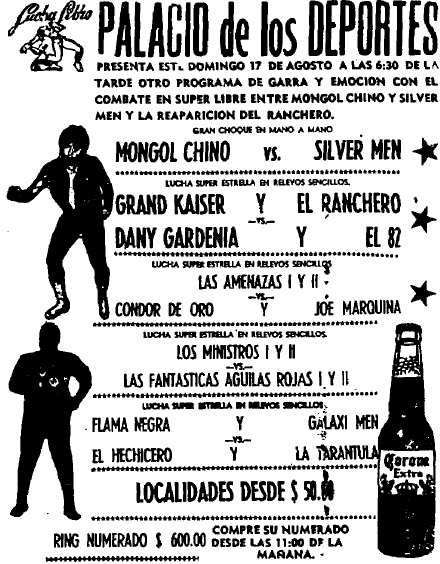 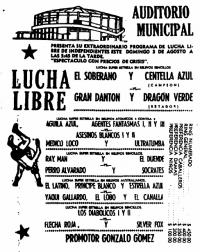 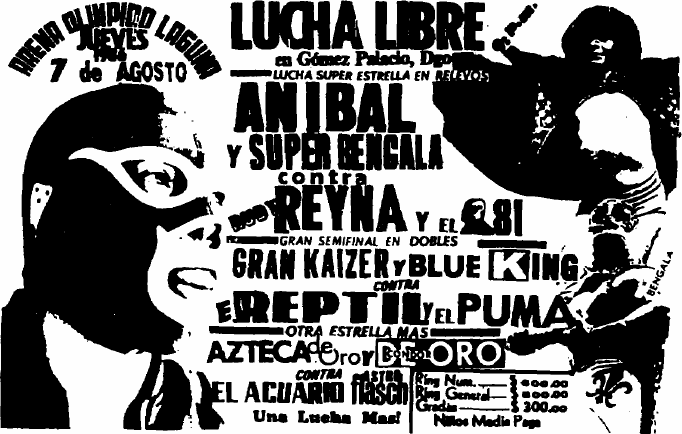 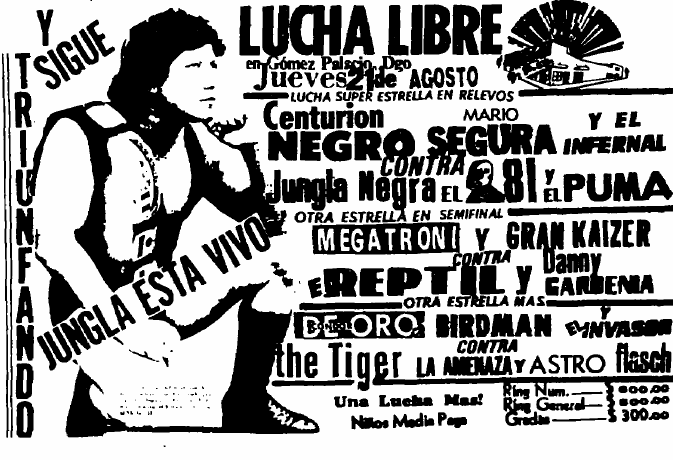 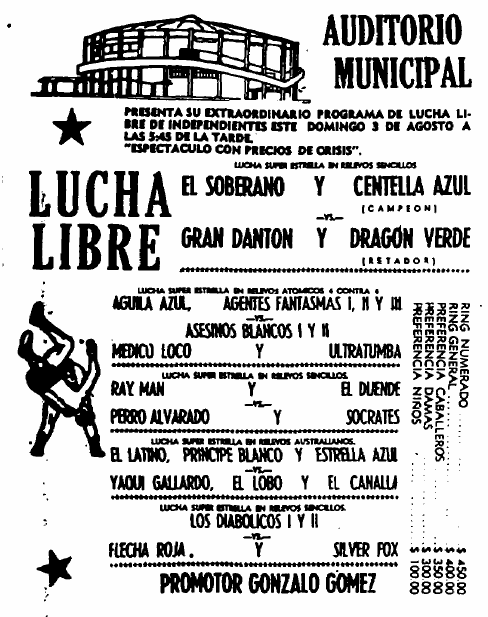 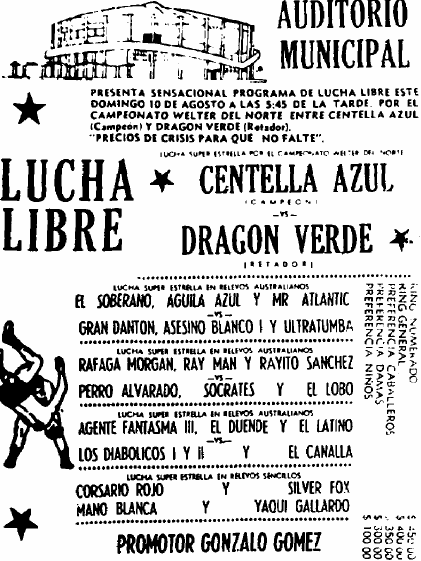 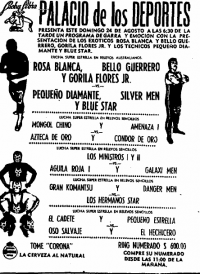 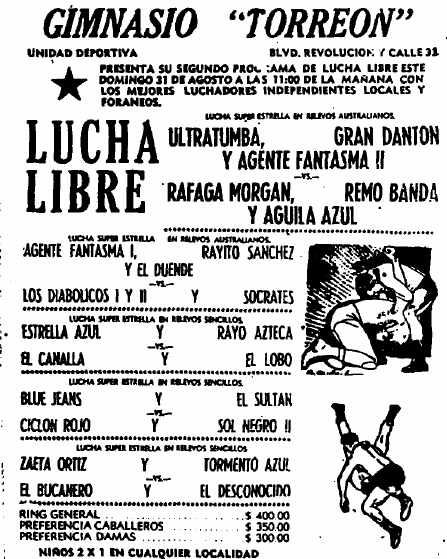 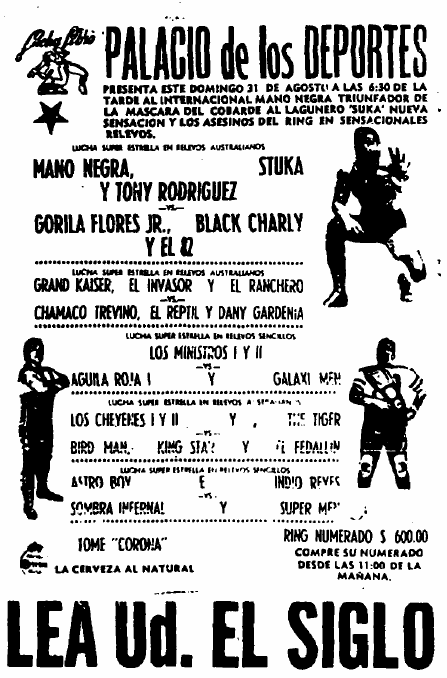 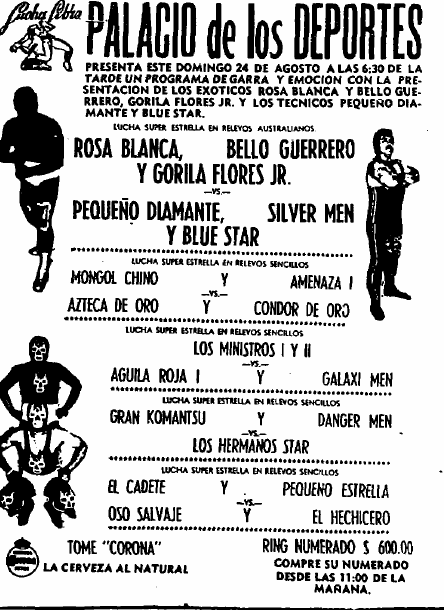 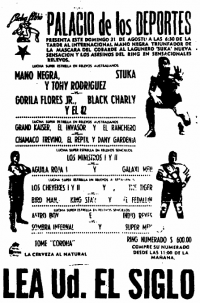 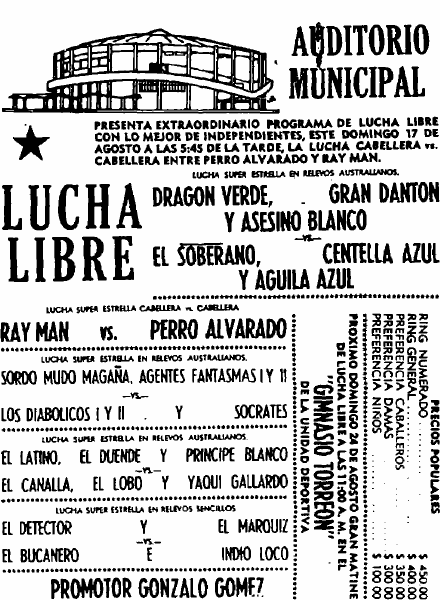 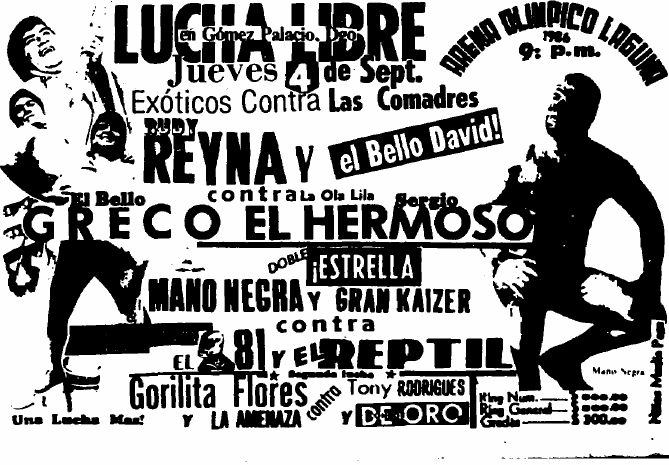 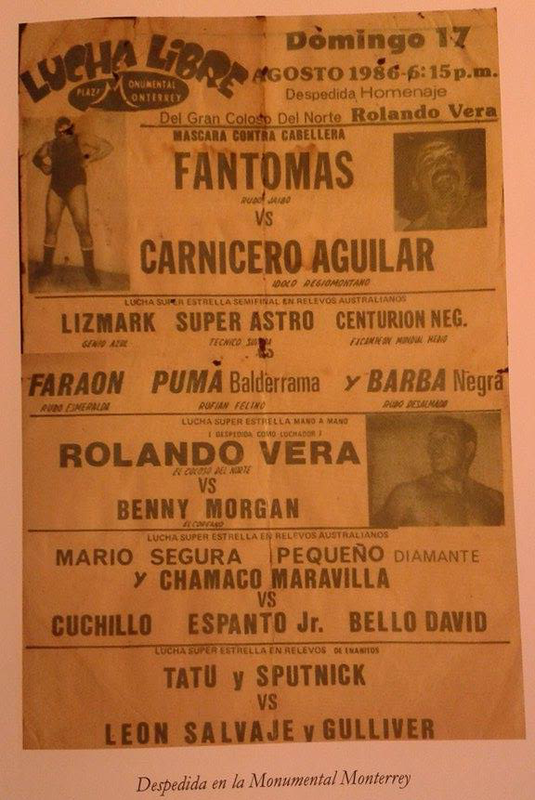 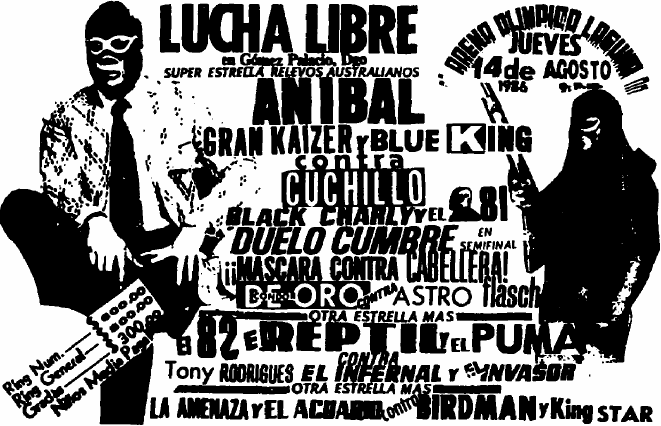 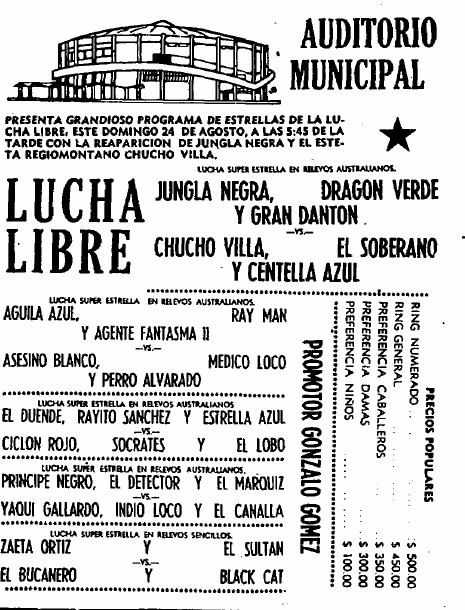 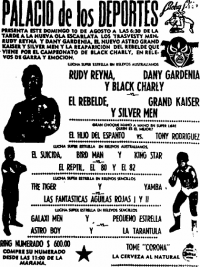 2) Chamaco Maravilla, Mario Segura, Pequeño Diamante vs Bello David, Chuchillo, Espanto Jr.
5) Mano Negra, Stuka, Tony Rodríguez vs Black Charly, El 82, Gorila Flores Jr.